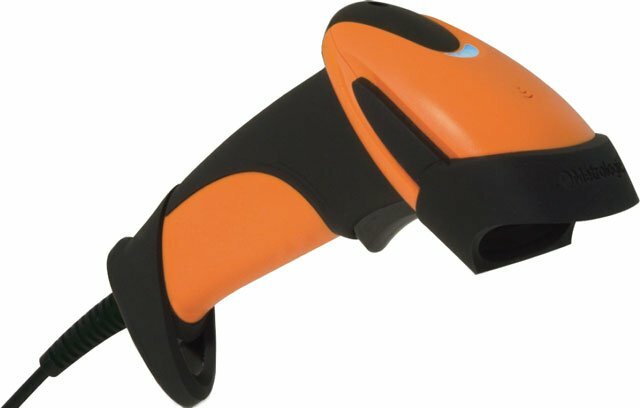 The Metrologic MS9590i Voyager GS handheld laser scanner delivers a rugged and reliable solution for scanning all standard 1D barcodes in challenging environments. The MS9590i Voyager GS incorporates reinforced housing which is ideal for light industrial and warehousing applications. An IP54-rated design protects the scanner from exposure to dust and splashing water. From distances as high as 1.8 meters, withstanding repeated falls presents no problem for this industrial-grade scanner. The Metrologic MK9590i-50A47 is also known as Metrologic Instruments	MET-MK9590I-50A47	or MK9590i50A47	.